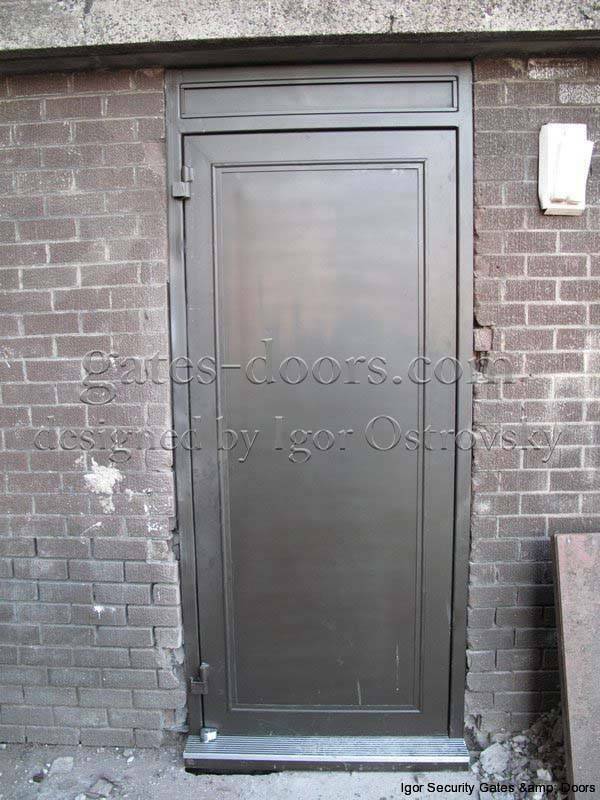 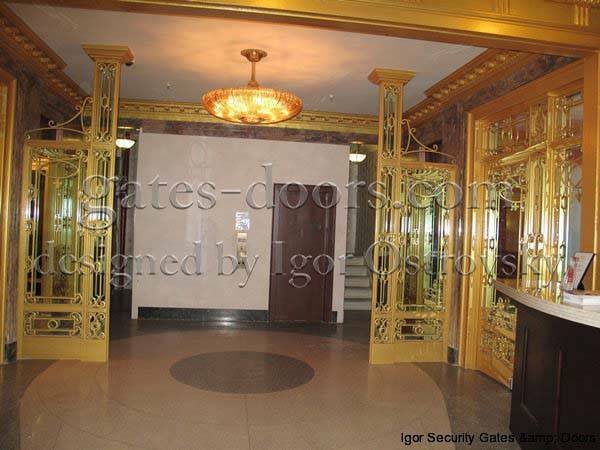 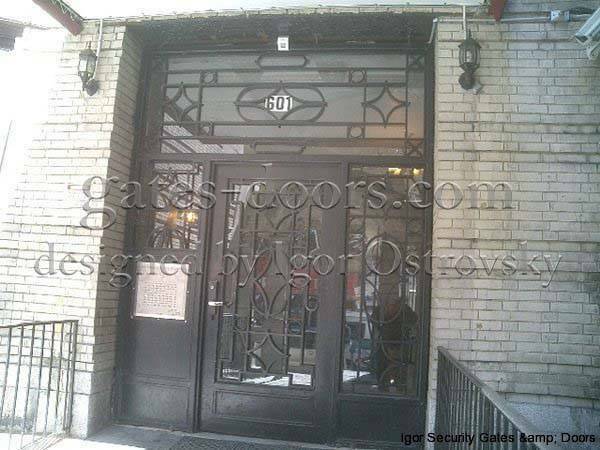 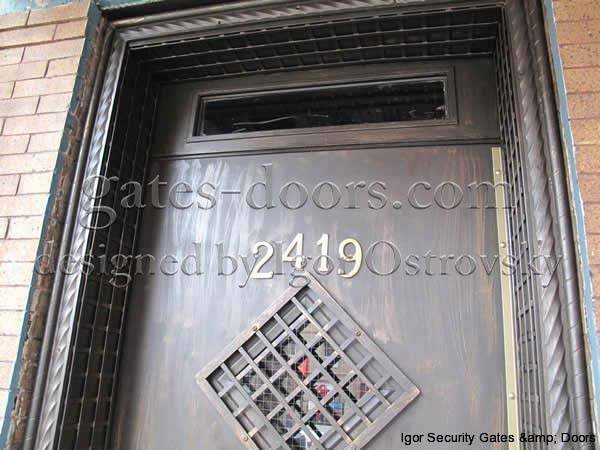 In the New York City area, we at Igor Security Gates and Doors understand the concerns you may have for the security of your business, home and family. 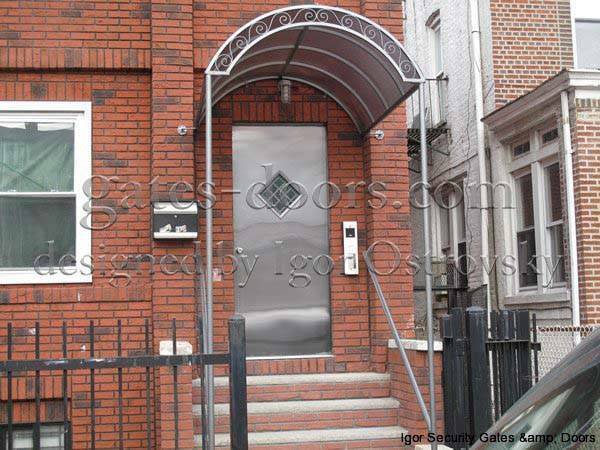 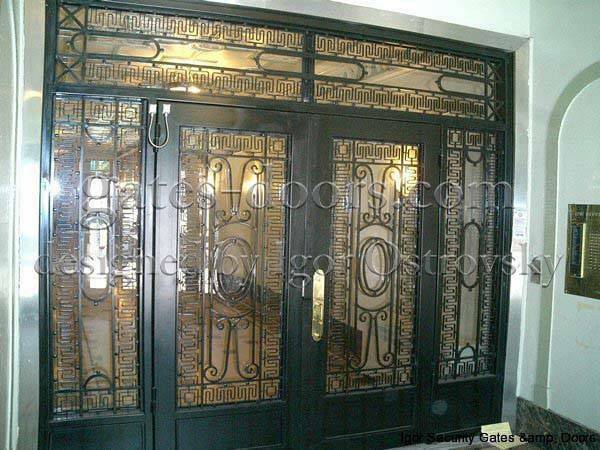 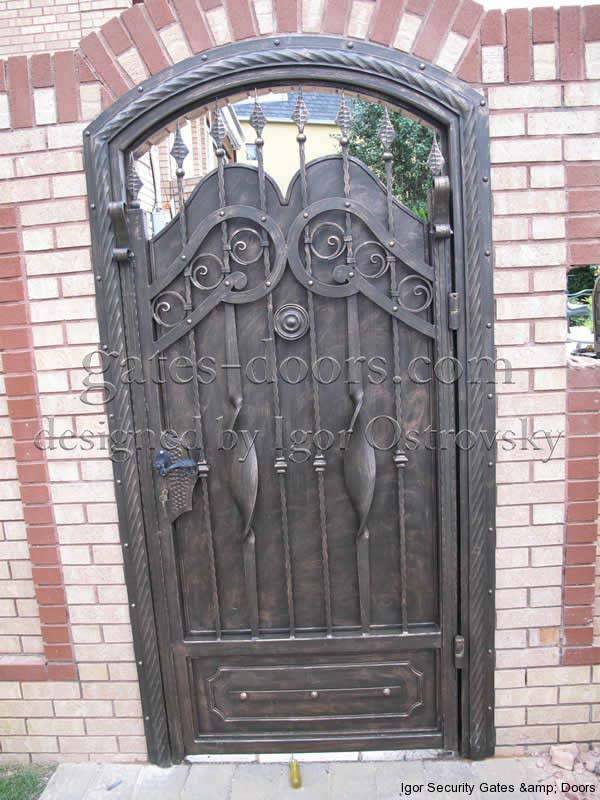 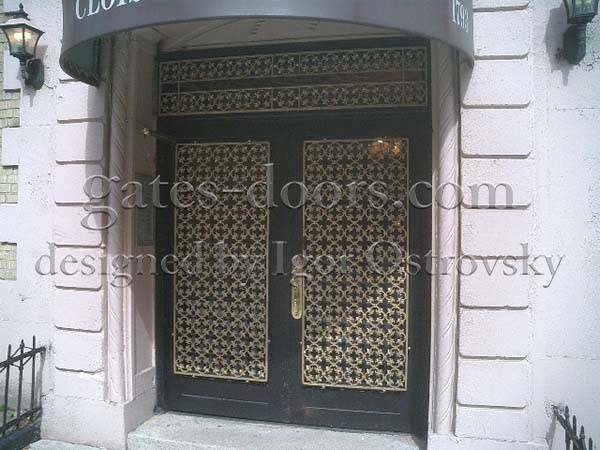 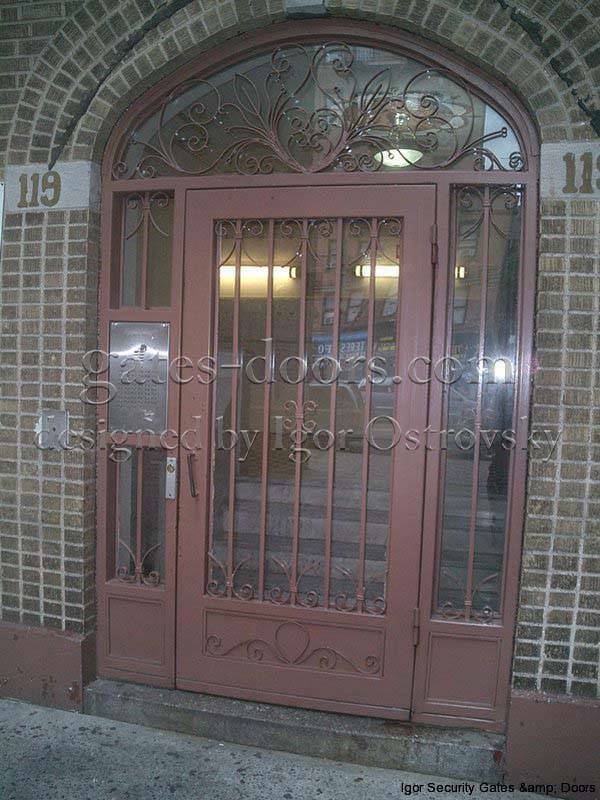 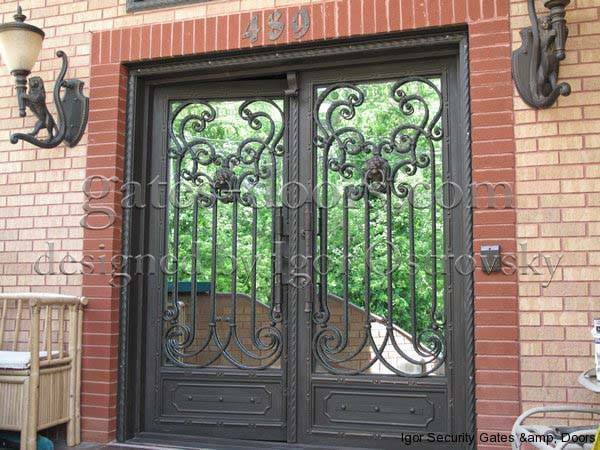 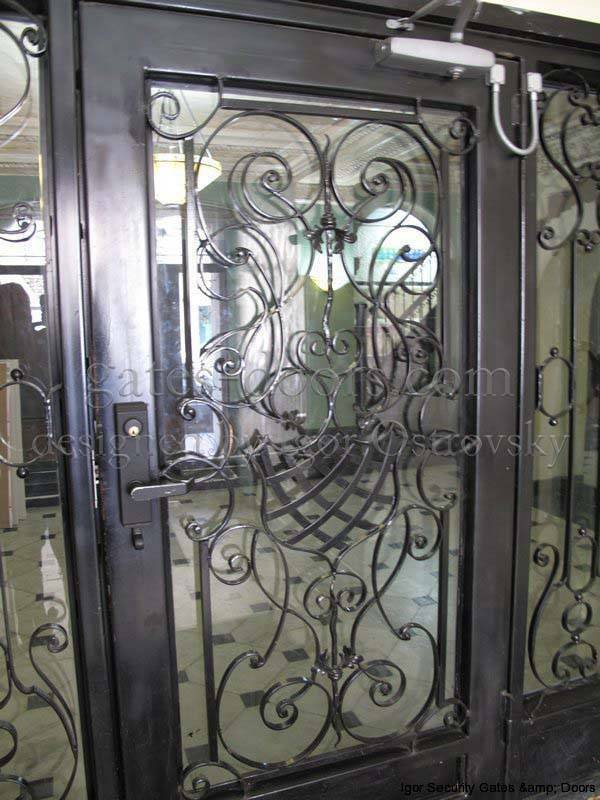 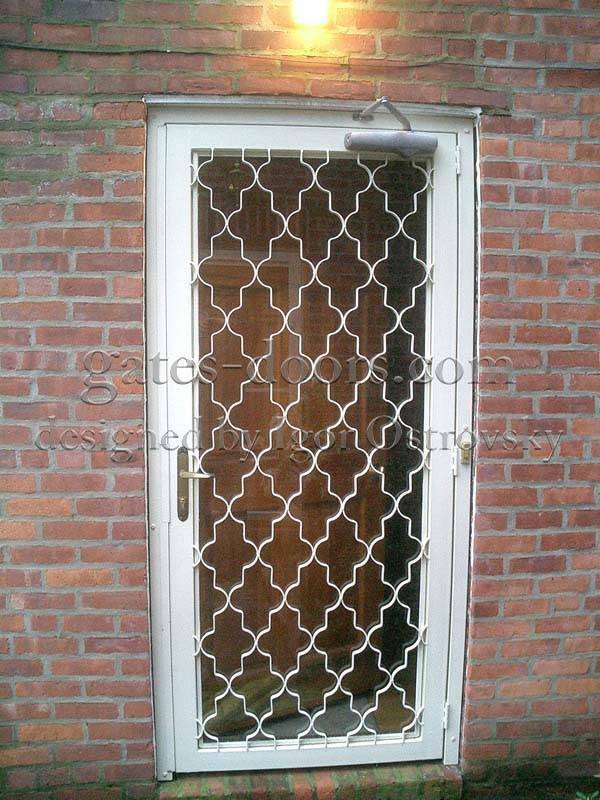 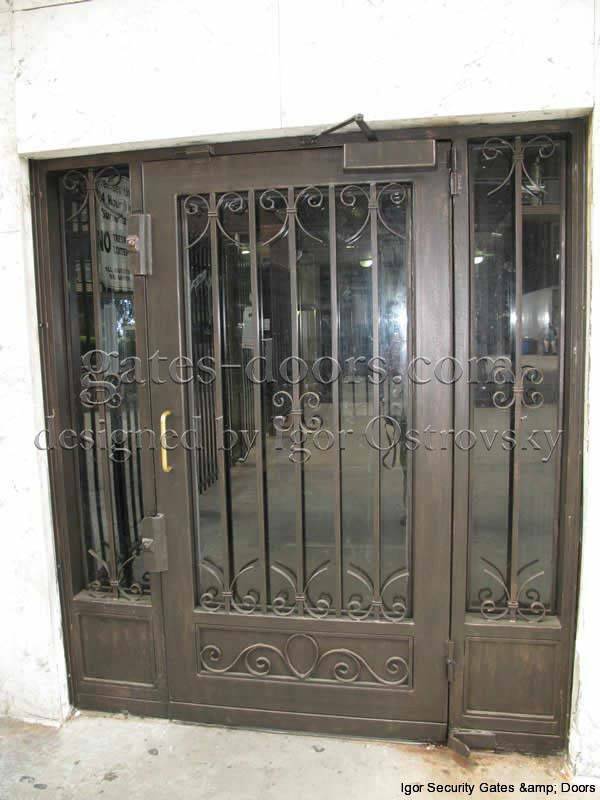 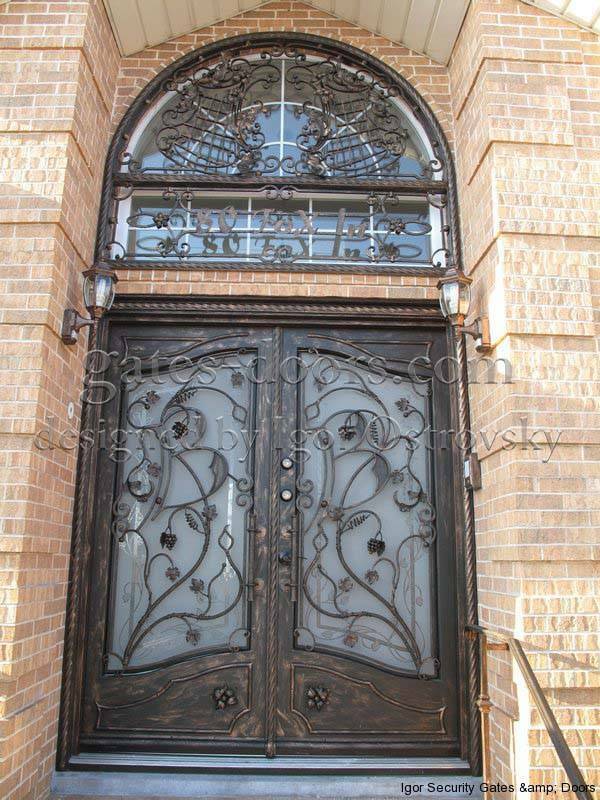 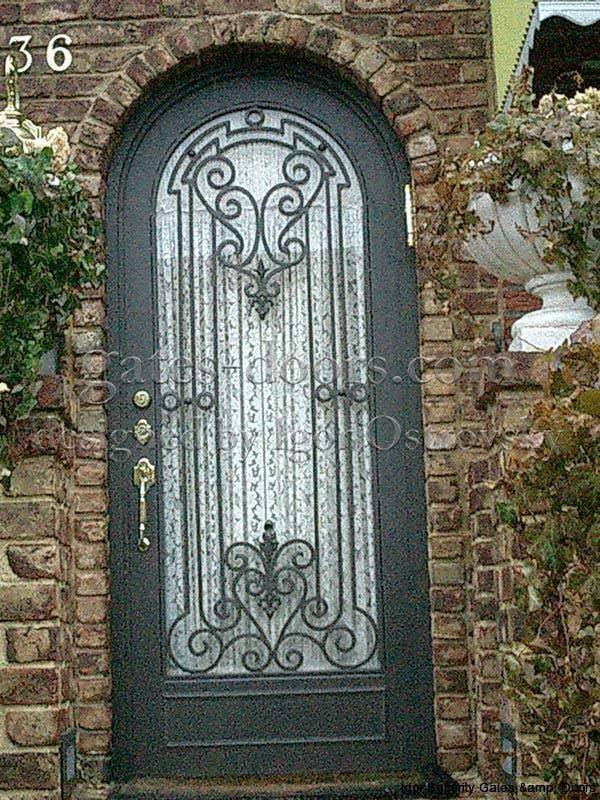 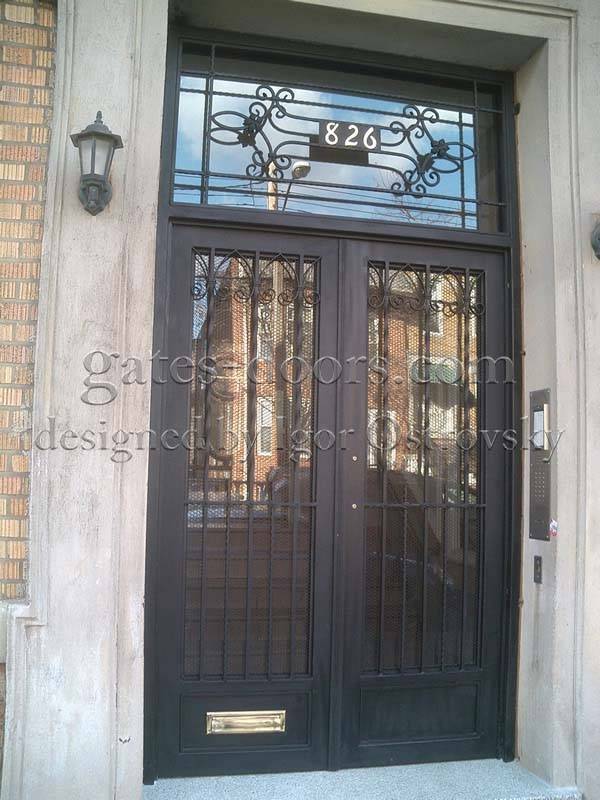 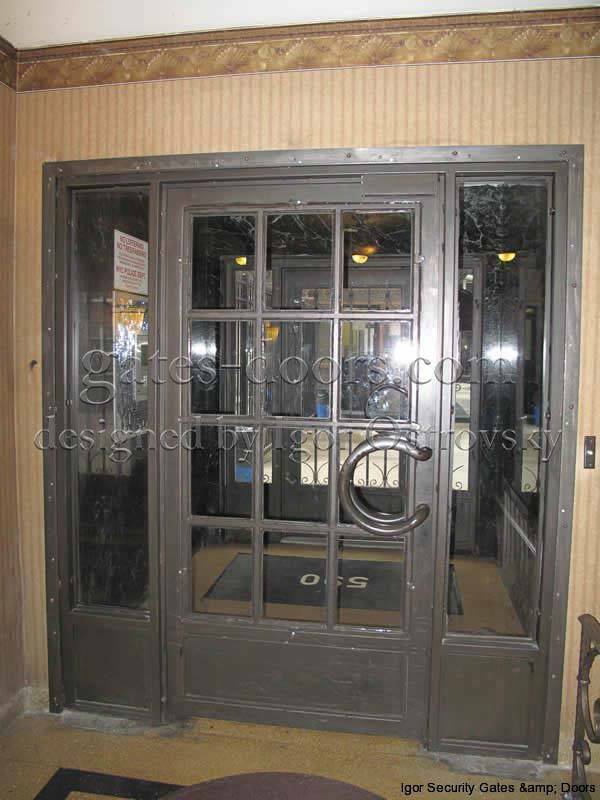 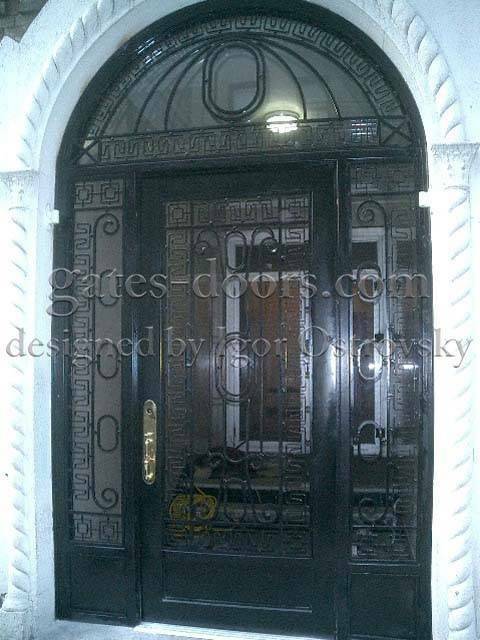 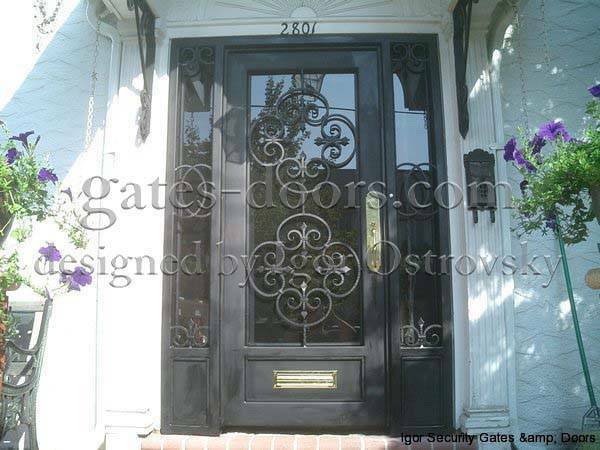 Serving mainly in Brooklyn and Staten Island along with the New Jersey area, we strive to create security doors and custom wrought iron doors for all of your properties. 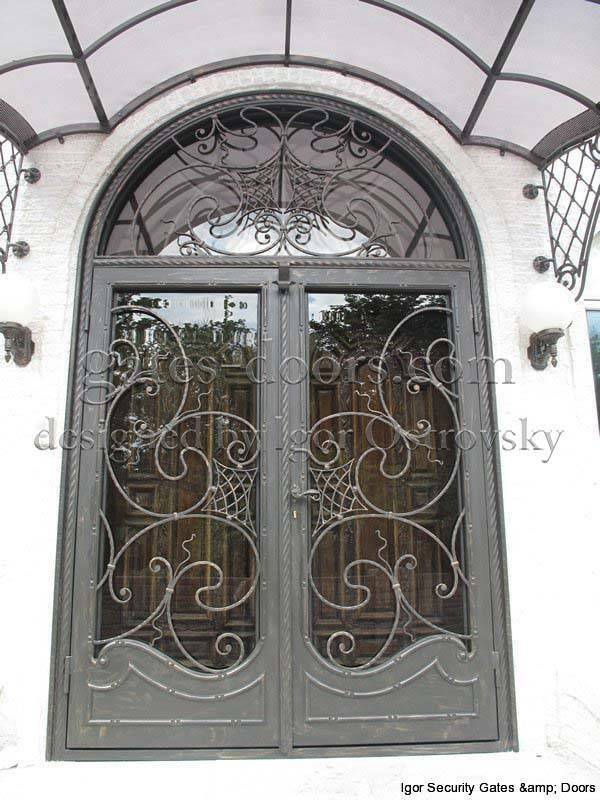 With the completion of Art School, a career in Restoration and formal training as a blacksmith under his belt, Igor Ostrovsky has embarked on a career that puts every piece of his background into use. 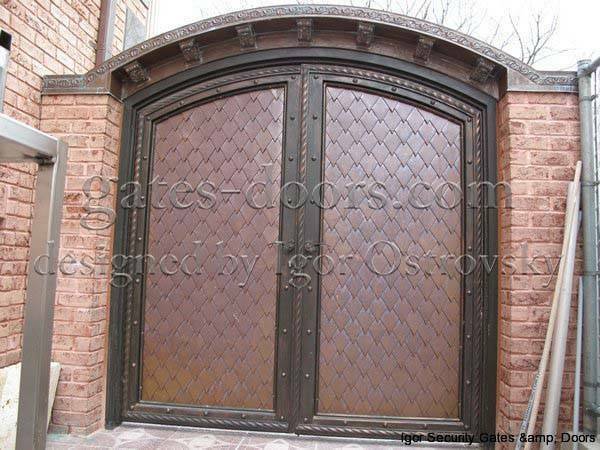 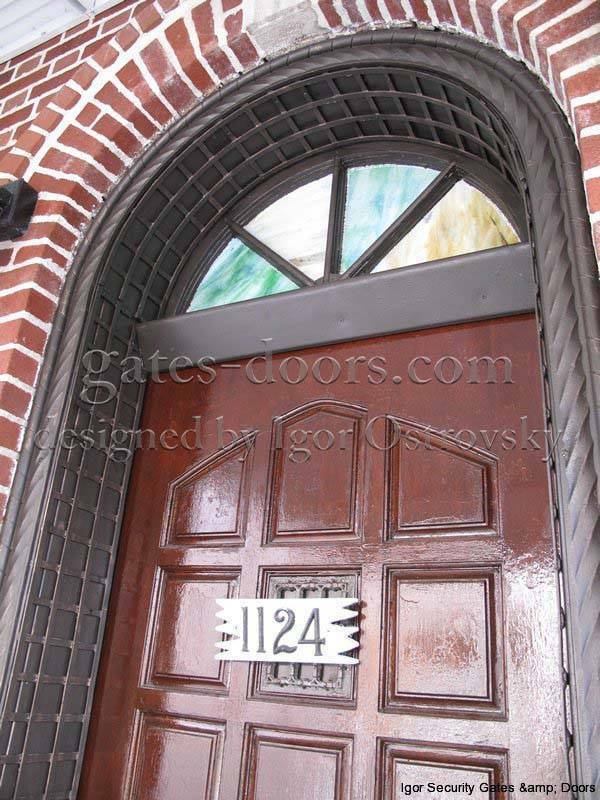 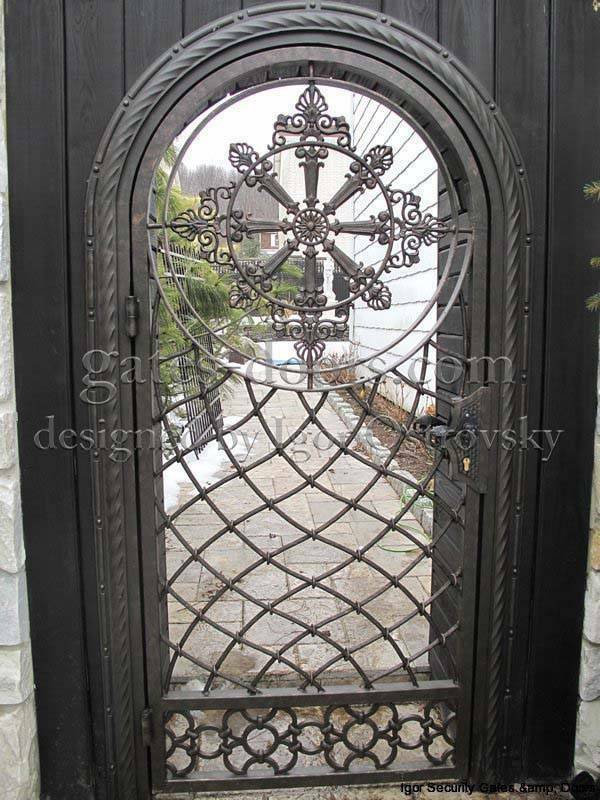 His custom designed gates and doors are sure to fit whatever your style may be, with hand-forged iron and the use of glass, wood and stone. 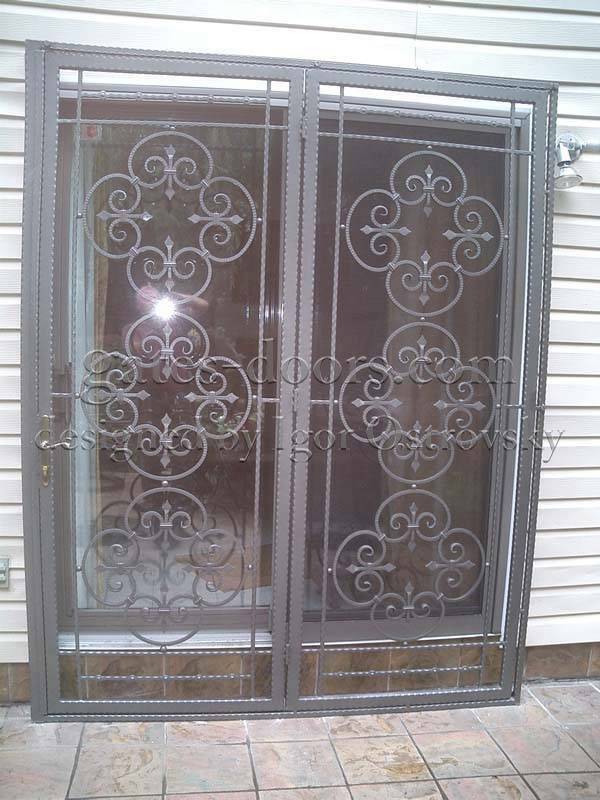 We supply you with an endless variety of faux finishes and painted or powder coated solid color finishes to choose from. 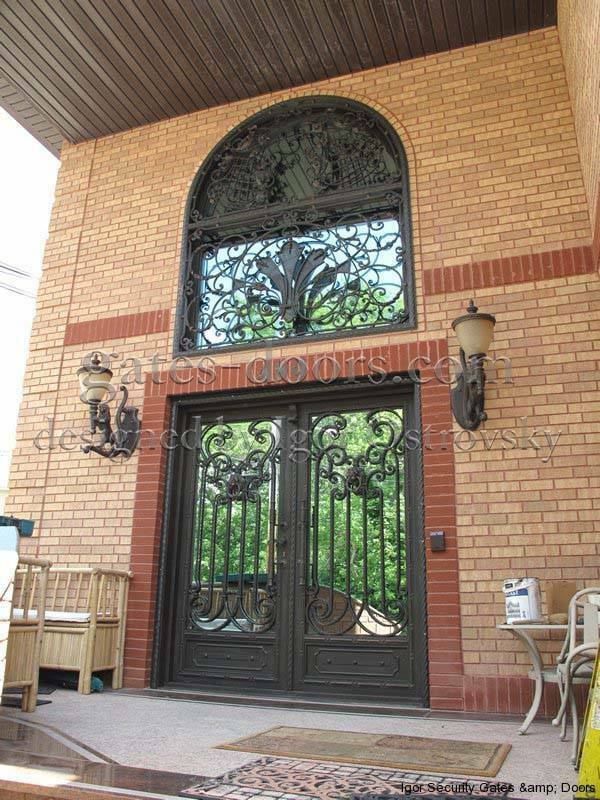 By the time everything is completed, you’ll be amazed on how well your vision has come together. 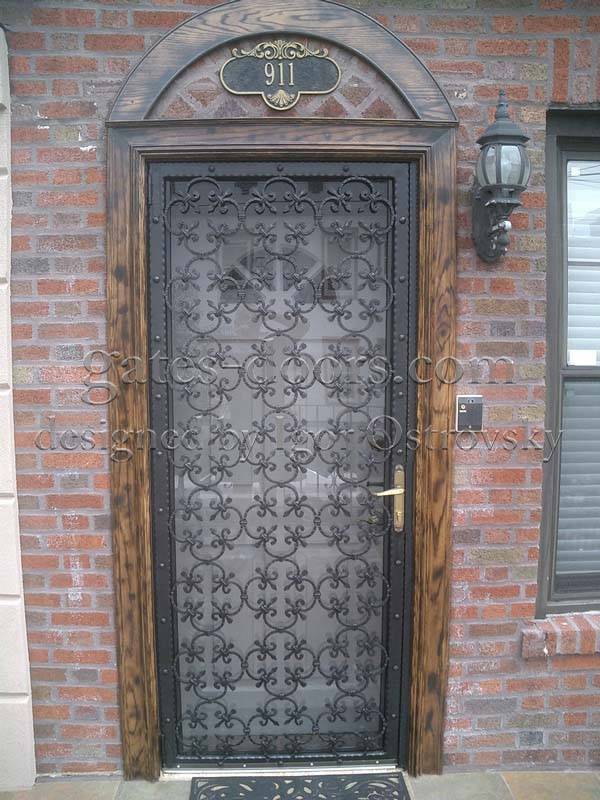 On the streets of New York, it seems like the security doors on every house you pass are exactly the same. 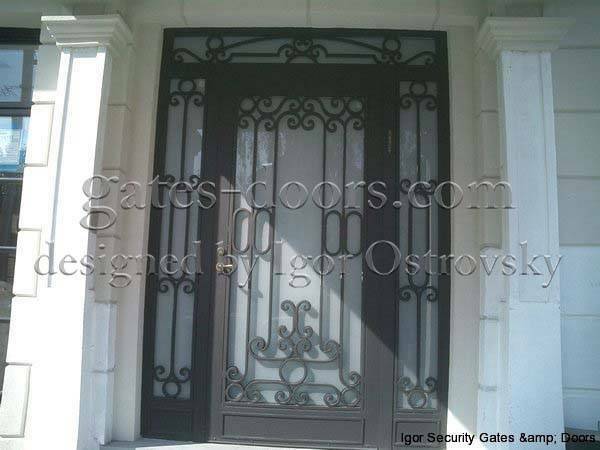 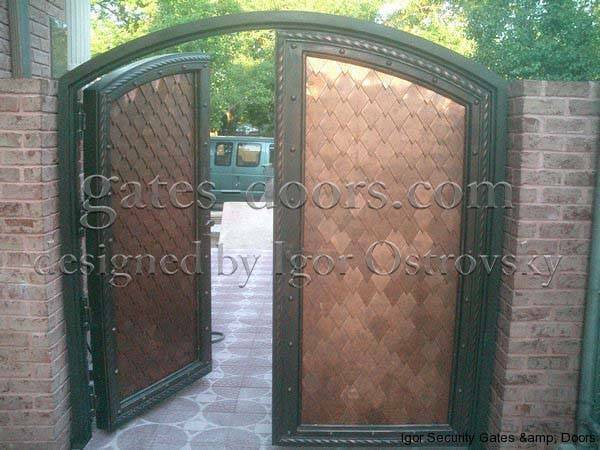 If you aim to stand out and make a statement, you need to call Igor Security Gates and Doors today. 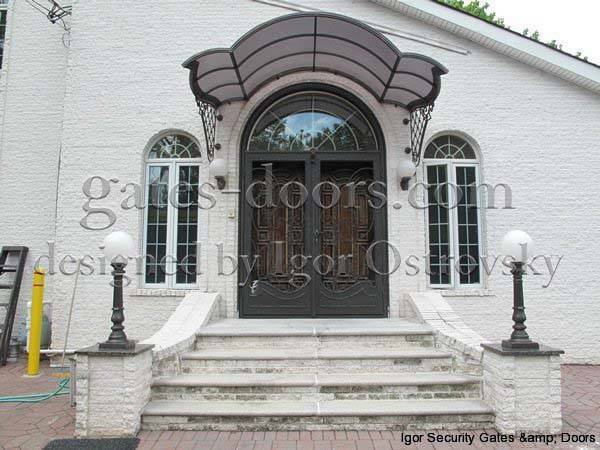 We believe that you should not have to substitute your sense of style for your sense of security. 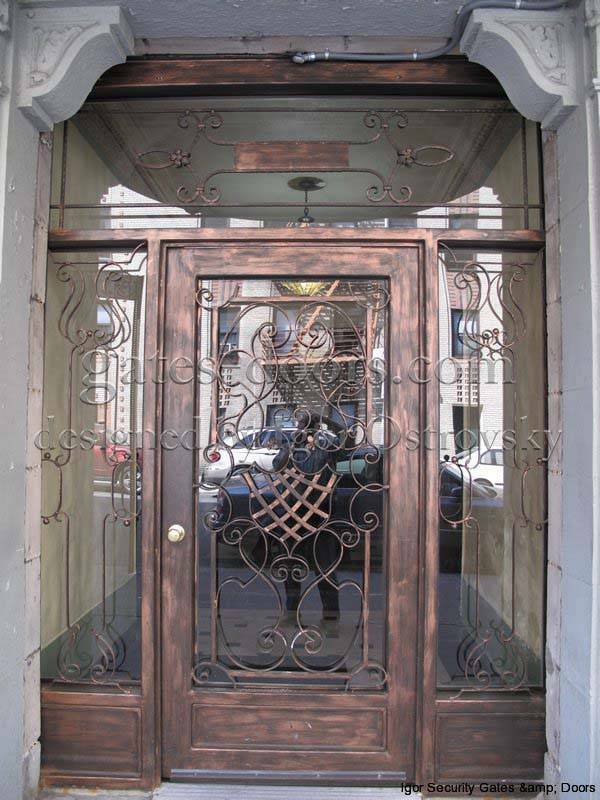 With us – you can have more. 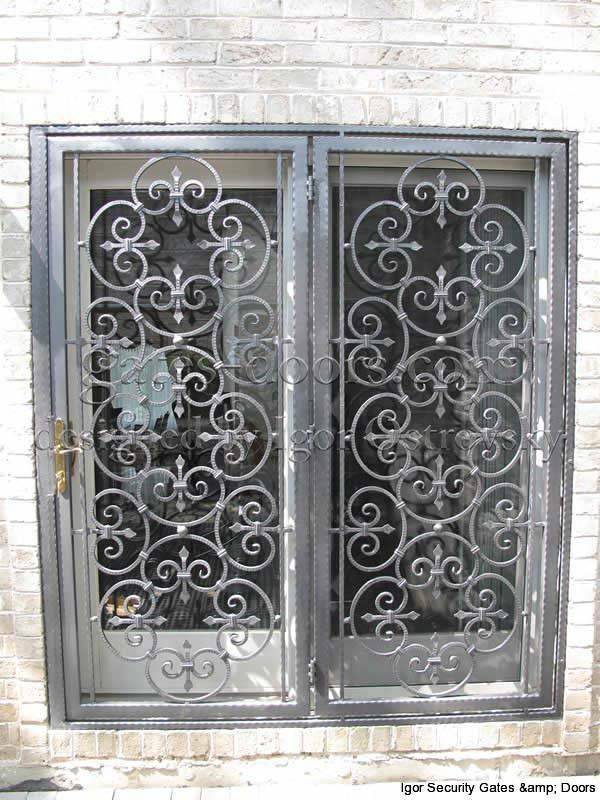 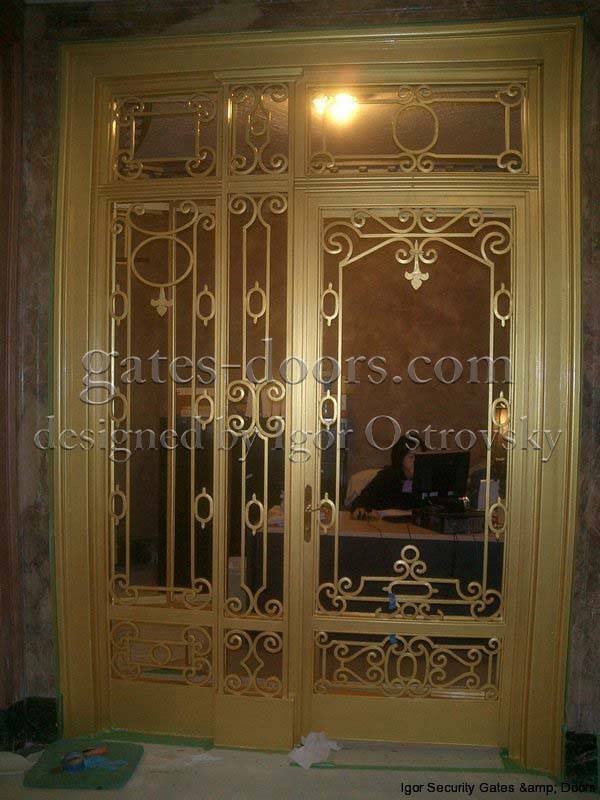 If you like our custom design work for your doors, you’ll love our gates, railings, canopies and other accessories we could provide to you and your home. 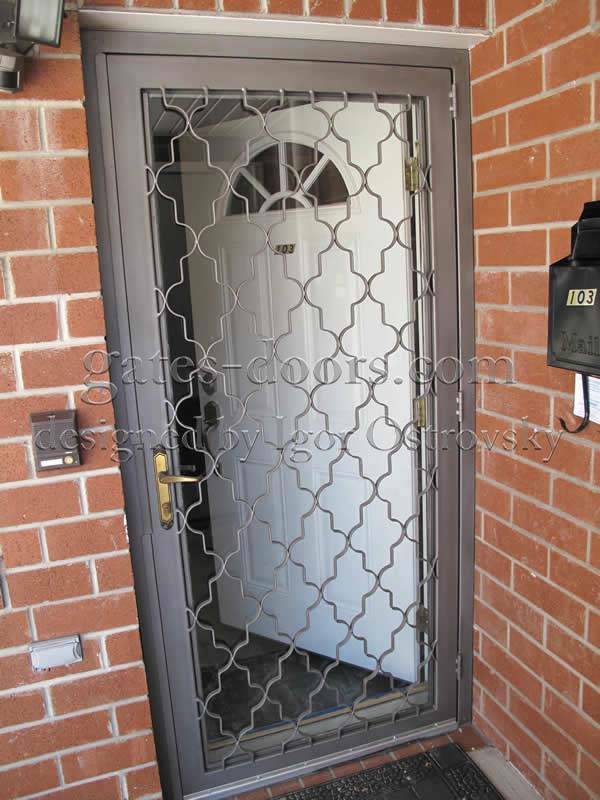 Call us today and we can go over your many options!